In This Scene: A closer look at the details in this Tom Ford Windsor-cut suit. This suit features the iconic Tom Ford peak lapels and pick stitching. 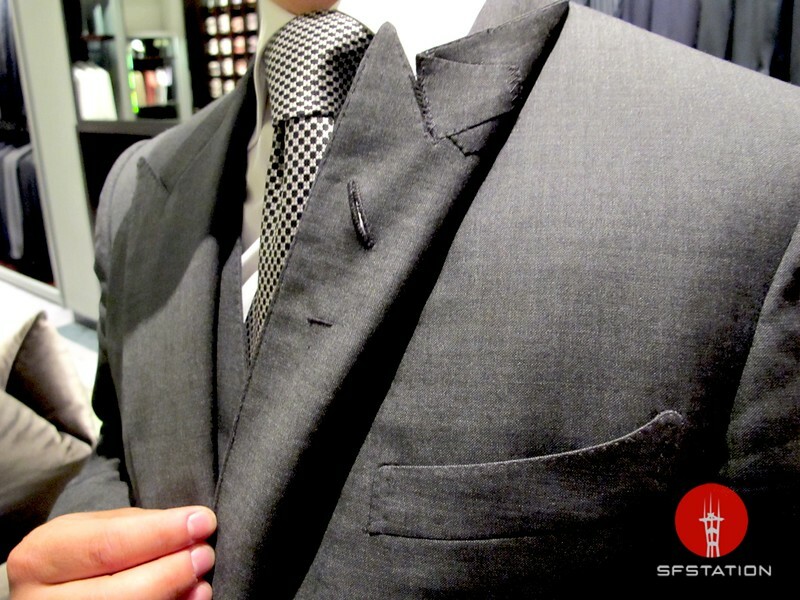 All Tom Ford suits are hand sewn--the boutonniere hole alone takes 10 minutes to sew. The tiny horizontal stitch under the boutonniere hole is a tribute to old-school tailoring. Suits used to feature this to hold the small water vase for your flowers.